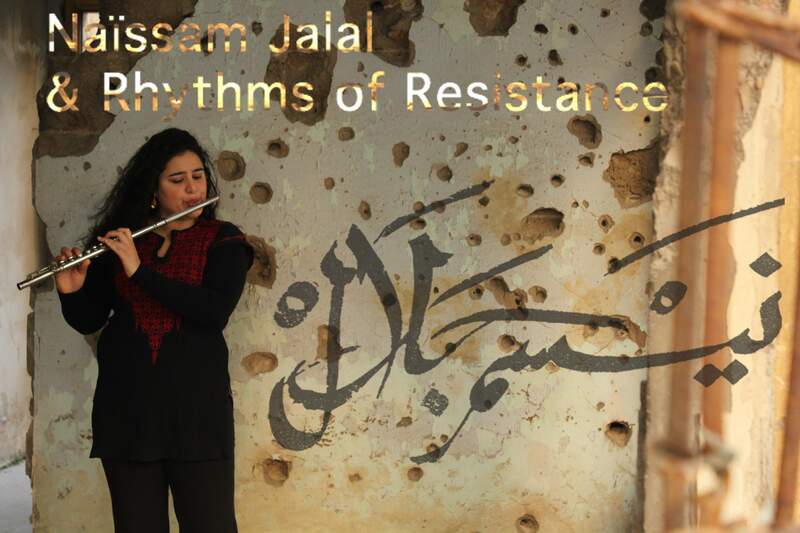 13 • Mar / 2015 • NAÏSSAM JALAL & RHYTHMS OF RESISTANCE - Festival le Printemps des Poètes Chelles. 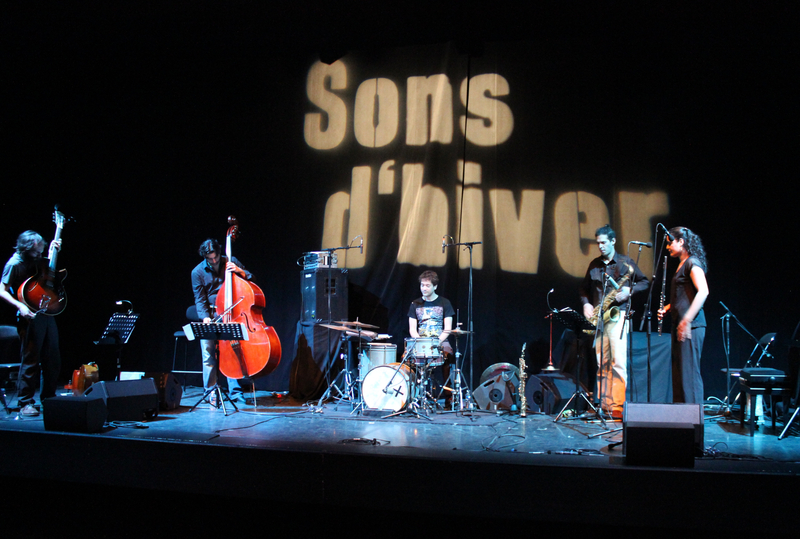 06 • Nov / 2014 • Jasmim trio with Hubert Dupont (contrebasse), Naïssam Jalal (flûte) and Youssef Hbeish (percussions). Malmitalo - Helsinki. 03 • Nov / 2014 • With Hubert Dupont, Jasmim trio Pärimusmuusika Ait - Viljandi (ESTONIE). 01 • Jul / 2014 • Noun Ya Soirée d’ouverture du Festival aux heures d’été,. Château du duc de Bretagne, Nantes. 01 • May / 2014 • Festival rares talents, Univers’elles Montreuil, France. 01 • Mar / 2014 • Naïssam Jalal & Rhythms of Resistance Théatre de verre Paris. Naïssam Jalal was born to Syrian parents in Paris. At age 6, she enters the conservatoire to study classical flute. 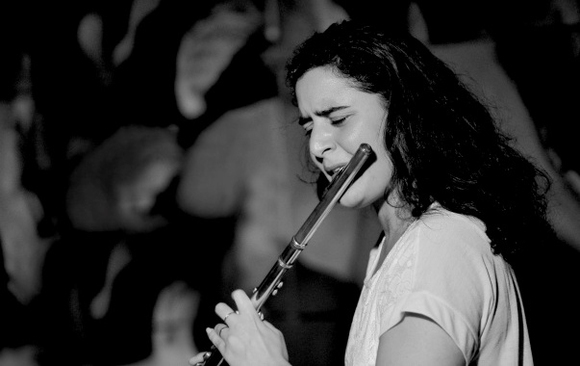 At age 17, she discovers improvisation and leaves the conservatoire after obtaining her certificate. The same year, the funky brass band Tarace Boulba drags her on a tour in Mali. At 19, Naïssam leaves France in search of her roots. After several months of initiation into the nay at the Great Institute of Arabic Music in Damascus, Syria, she leaves for Cairo to study with the great master violonist Abdu Dagher. In Egypt she meets Fathi Salama with whom she plays in the most prestigious theaters and participates in the creation of the groups El Dor El Awal and Bakash. From rap to contemporary jazz, from tango to afrobeat and gnawa music, Naïssam explodes categories and plays with all. We can find her on stage with the best African musicians on the Parisian scene (Cheikh Tidiane Seck, Debademba, Hilaire Penda, Fatoumata Diawara, Moh, Hervé Samb, Brice Wassi)or great names of the international jazz scene (Hamid Drake, Nelson Veras, Michael Blake, Hubert Dupont), and the Arabic world (Lena Shamamyan, Macadi Nahhas, Youssef Hbeish, Khaled Aljaramani). 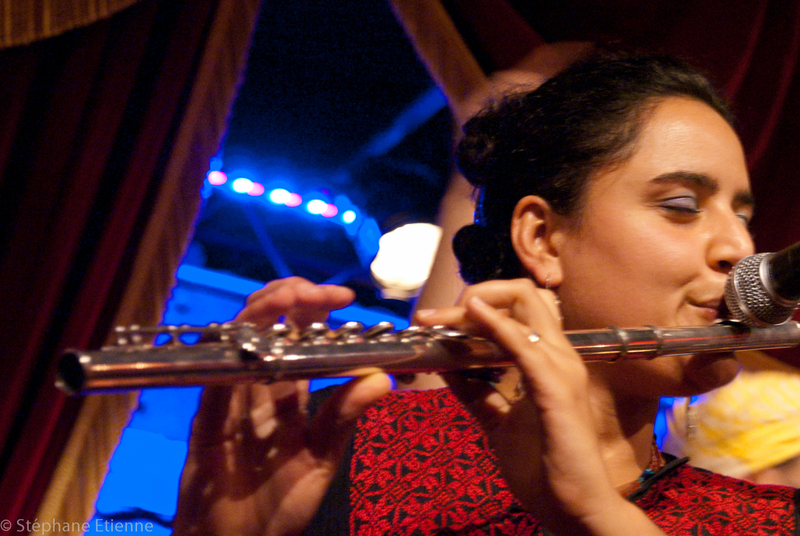 She records with Napoleon Maddox, Aziz Sahmaoui, Mike Ladd, Sébastien Giniaux, the french jazz trio Aerophone, the Palestinian rap band Katibeh 5 and composes the soundtrack for two full length films. 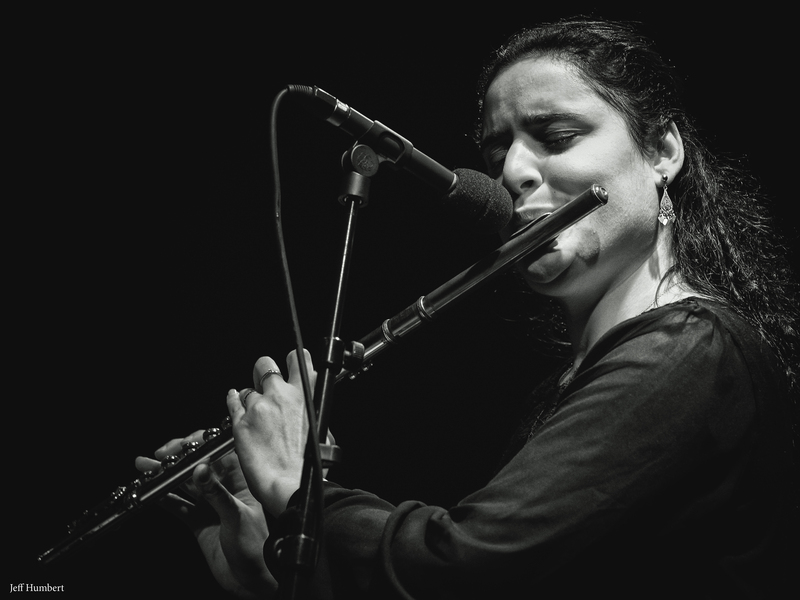 Since 2011, she has been performing with her quintet “Naïssam Jalal and Rhythms of Resistance” in the most famous jazz festivals in France ( ons d'Hivers, Jazz à La Villette, Banlieue Bleue, ...) and has been building a repertoire reflecting her free and nomadic personality. "Osloob Hayati" the first album of the quintet was released in March 2015 and the second album is already on the way. 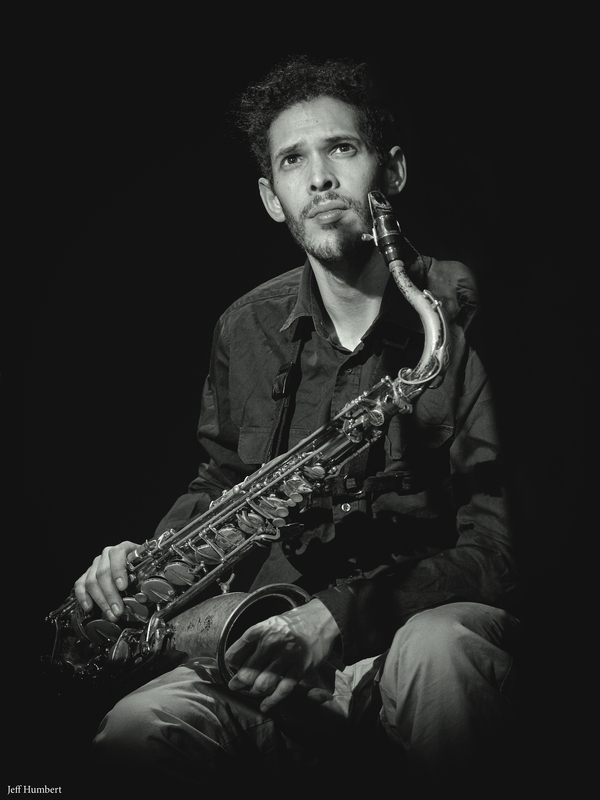 Born in 1978 in Chateauroux (France), from a marocan father and a french Mother, Mehdi enters the conservatoire at age 8 to study saxophone until the age of 17, when he discovers jazz and improvisation. In 2000, he settles in Paris and enters the American School of Modern Music. He joins Tarace Boulba (funky bras band), Garmifall (Senegalese ballet), and Zetlab (modern jazz). Between 2003 and 2008, he goes to Africa for several tours (Mali, Senegal, Morocco, Comoros) during which he develops his own style through contact with numerous musicians. He performs in Guadeloupe with Tsefanyah (Gospel jazz), in England and Turkey with the Orchestra Karagoz (Turkish gypsy music), and in Morocco repeatedly, where he meets numerous Gnawa or Aissawa Maâlems. Mehdi performes pu still performs with Fanfaraï, the Maâlem Hassan Boussou, Global Gnawa, Djiz, la fabrique du Macadam, Omer Avital, Jazz Libérator, Hamid Khan, Doudou N’Diaye Rose, Hamid Bouchnak, Nuru Kane, Loy Ehrlich, Karim Ziad, Andy Emler and many more. Born in 1978 in Germany, Karsten enters the conservatoire of Munich in 2001 to study jazz and classical guitar as well as cello. He obtains his teacher’s diploma in 2005. 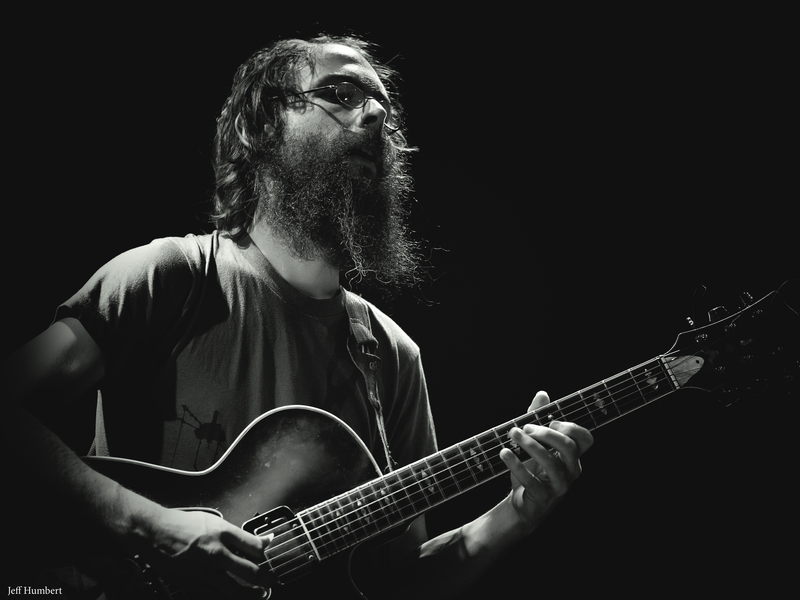 At the same time he performs with numerous jazz and world music bands, in particular with the band Embryo with whom he tours during two years. Within this band he meets great musicians such as Mal Waldron (USA), Saïd Chraïbi and Mahmoud Guinia (Morocco), or Abdo Dagher (Egypt). A scholarship at the City of Arts allows him to settle in Paris. He plays, arranges and composes for several bands with different styles. With “Das rote gras”, his personal project, a septet that gathers German and French musicians, he signed two albums, which have been very well received by the press and the public on both sides of the Rhine. He also accompanies dance shows and theater plays. Born in 1977 in Hungary, Matyas studied music since the age of 6. In 2004, he receives his diploma from the Academy of music Ferenc Liszt of Budapest in classical double bass. At the same time, he studies jazz and improvises music. Between 1997 and 2011 he records more than 30 albums with hungarian and internationals artists as Archie Shepp, Dresh quartet, Herbie Mann, Chris Potter, Charlie Mariano, Kurt Rosenwinkel, Hamid Drake, Perico Sambeat etc. He performs as a side man with Chico Freeman, Robin Eubanks, Gerald Presencer, William Parker, David Murray, and many others. 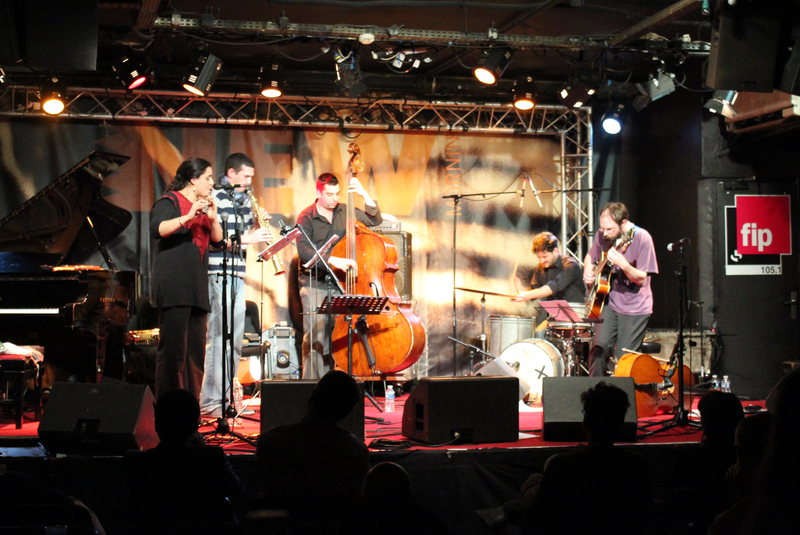 He settles in Paris in 2011 and performs with artists such François Jeanneau, Christophe Monniot, Manu Codjia, Karl Jannuska, David Prez etc, among others. Arnaud Dolmen born in Paris, returns to Guadeloupe at the age of 5 and follows the workshops Marcel Lollia – Vélo driven by Georges Troupé at Sainte-Anne. He studios the ka and develops a real passion for this instrument. He then studies drums with Georges Troupé et de Sonny Troupé, and join the Kimbol, ensemble at the age of 11 and took parts in many concerts and TV shows. In 2004 Arnaud settles in Toulouse to study at the Dante school. He will graduate in a brilliant manner, with the first price of the Jury. Arnaud will rapidly be very demanded by the artists of the Caribbean scene, playing with Jacques Schwarz-Bart, Mario Canonge or Alain Jean-Marie. In 2006 Franck Nicolas will call him to record « Maman Gwada » with Keyko Nimsay, Jean-Christophe Maillard and Sonny Troupé. Works with Jonathan Jurion, and records with Keyko Nimsay The same year he in part of Caraib II Jazz on the big stage of the Festival Jazz de Pointe-à-Pitre. In 2010-11, Jacques Schwarz-Bart calls him to join the team going to Tokyo to record the album of Yosuke Onuma. That same year he will play with Fabrice Fanfant et Sa Nou Yé, Sonny Troupé quartet and share the stage with Chyco Simeon and Tony Chasseur. 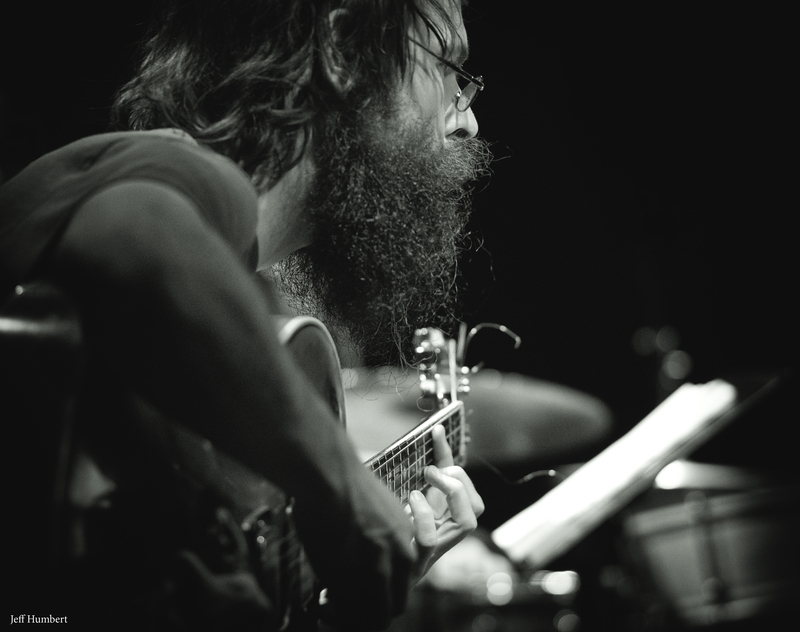 In 2012 he will play with Mario Canonge, the trio of Jonathan Jurion, Dominique Leblanc and Jean-Rémy Guédon, records the volume7 of Jazz Ka Philisophyof Franck Nicolas and "Psychédélick Trio" with Grégory Privat. 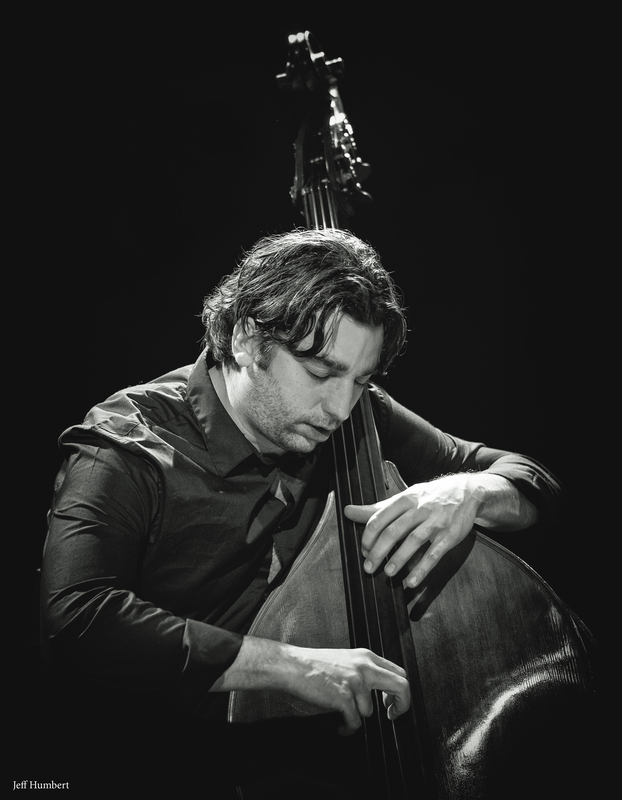 in 2015 he tours in trio with Jonathan Jurion, Naïssam Jalal & Rhythms of Resistance and has his own quartet project with Léonardo MONTANA (piano), Joachim GOVIN (double bass) and Adrien SANCHEZ (saxophone).